I went to view Hamish Fultons work at the Ikon Gallery in Birmingham. These pieces of work were installation pieces. It was nice to look at this installation piece as it was a lot different to Sarah Browne’s exhibition as this was a still installation. There was no movement in the installation. This exhibition, a major collaboration between Ikon and Turner Contemporary, Margate is the first museum show for British artist Hamish Fulton since his retrospective at Tate Britain in 2002. Fulton describes himself as a ‘walking artist’, with his work joining the two separate disciplines of walking and art. 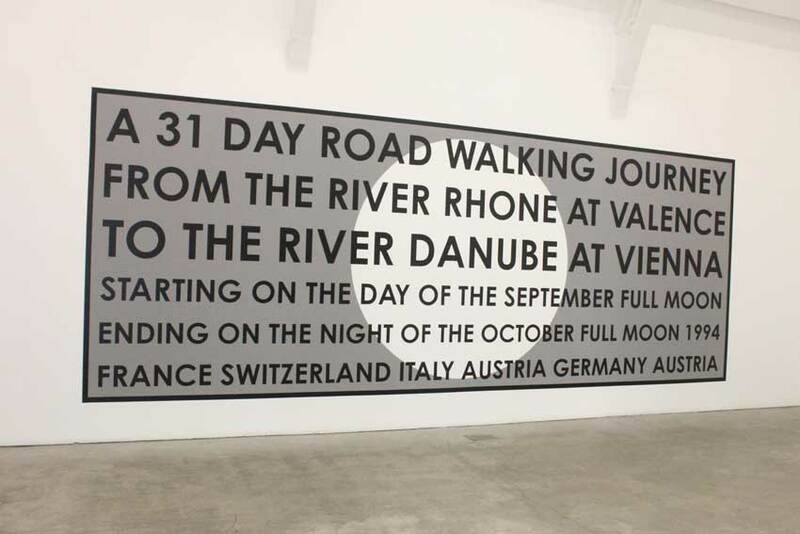 individual walks.’ Since then the act of walking has remained central to his artistic practice. He has said ‘If I do not walk, I cannot make a work of art’. Calls for political justice, for Tibet and previously on behalf of Australian Aborigines and North American Indians, also recur in Fulton’s work, corresponding to the individual and artistic freedom embodied within it. For Ikon, Fulton makes an installation that consists entirely of wall pieces, each with a strong sense of place. They have ritualistic connotations, corresponding to walking activity and the meditative thought it can inspire, and touching on a wide range of non-art issues that preoccupy the artist. 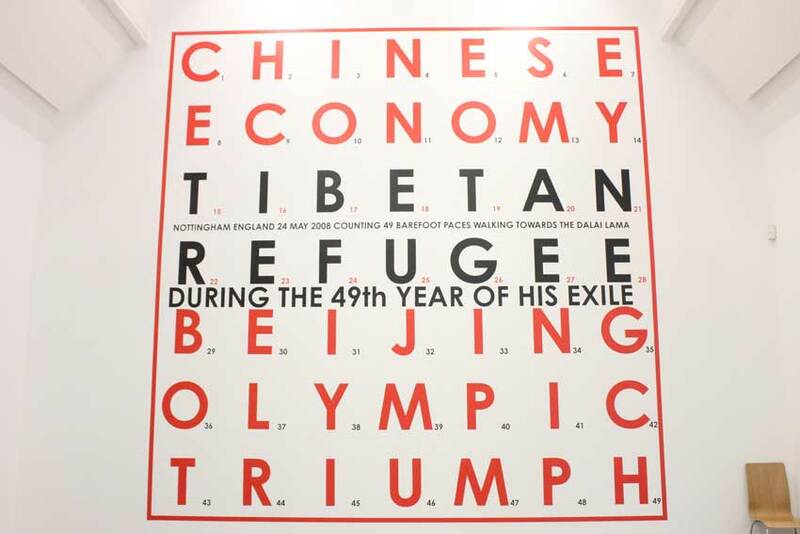 Specifcally, they make reference to the ongoing struggle for Tibetan independence, China as an ascendant superpower, globalised travel and communications and mountainous landscape. 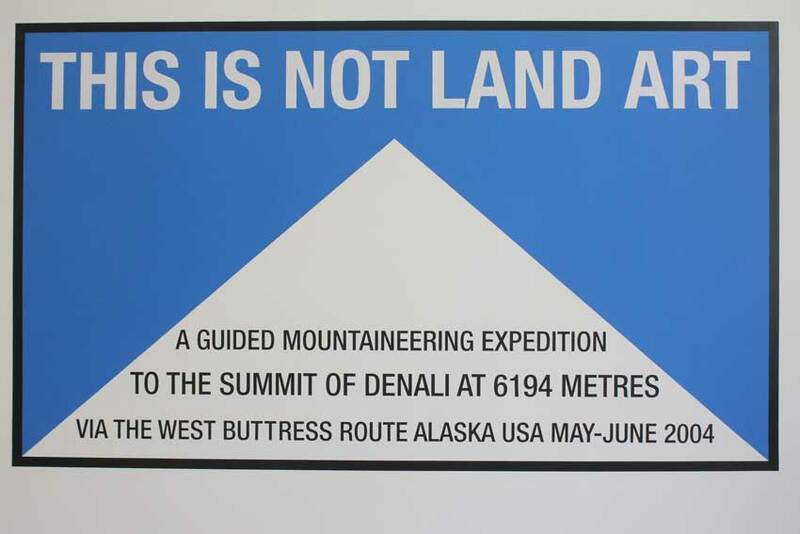 The latter comes into focus in light of the artist’s summiting of Mount Everest (or Chomolungma) on 19 May 2009. This exhibition will be the first opportunity in the UK for audiences to see Fulton’s work relating to his ‘short walk’ on Everest. When visiting this exhibition there were not many people going and viewing the work. It was nice to see how long the people that did attend were standing and viewing the work. Again, just like Sarah Browne’s work you had to really stand and look in to the work to understand it. From doing the stop watch test people were standing and viewing the installation pieces for about 4 minutes. When we was giving a presentation of where we were at, I told everyone where I was at with my project and when mentioning the audio Paul Smith suggested a really good idea. Paul Smith said to go and visit a gallery and take a stop watch to time how long the viewers stand and view a piece of work and then this will give me an idea of how long I should run my audio. This will help me learn the average time a person will concentrate on listening to Jean’s story for. I feel that this will work best with an audio piece of art work at an exhibition or an installation that presents audio. 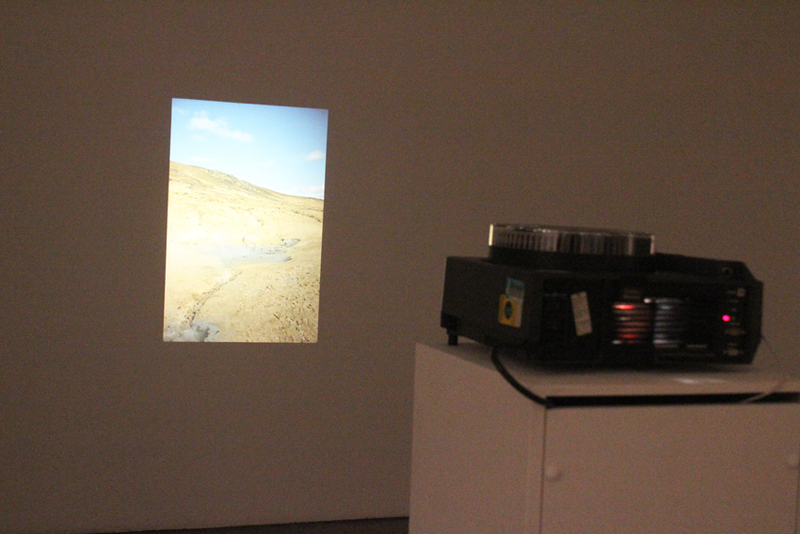 So this first stop watch test that I had done was at Sarah Browne’s exhibition, which was showing at the Ikon Gallery. This was called How to Use Fool’s gold. Ikon presents the first UK solo exhibition by Dublin-based artist Sarah Browne, a survey of film and sculptural works, including the artist’s entry for the 2009 Venice Biennale. Using ‘the economy’ as the basis for her artistic practice, Browne works with small communities of people, documenting resourceful forms of exchange such as gifting, subsistence, poaching and subsidies, to reveal the hidden social relations that exist in small-scale economic structures. On 17 February 2012, in the midst of an unfolding European currency crisis, the Central Bank of France ceases to exchange French francs for euros, ending a system that has continued since the introduction of the euro and thus marking the demise of the franc altogether. Browne’s film Second Burial at Le Blanc (2011) follows a procession through Le Blanc, a small French town where local merchants have continued to accept francs for goods and services. At the centre of this procession is Browne’s bespoke ‘ticker-tape countdown clock’, a glass-domed mechanism counting down the hours, minutes and seconds of the franc’s existence. Accompanying the film are two newspapers, distributed at Ikon and in Le Blanc, visual essays that weave together historical and anthropological information related to the work. Several of Browne’s works explore redundant technologies and leftover industries. Her Carpet for the Irish Pavilion at the Venice Biennale (2009) is made from surplus wool stocks from the Donegal Carpets factory. Once renowned for its hand-knotted carpets adorning Irish embassies around the globe, Donegal now produces carpets by machine or outsourced labour. The artist’s carpet was hand-knotted by two of the factory’s previous female employees and the design, reminiscent of Irish modernist Eileen Gray, was dictated by the proportions of surplus wool remaining at the old factory, now converted into a ‘heritage centre’. A Model Society (2007) stems from research – undertaken prior to the recent financial crisis – in which Iceland was declared the happiest nation on earth. 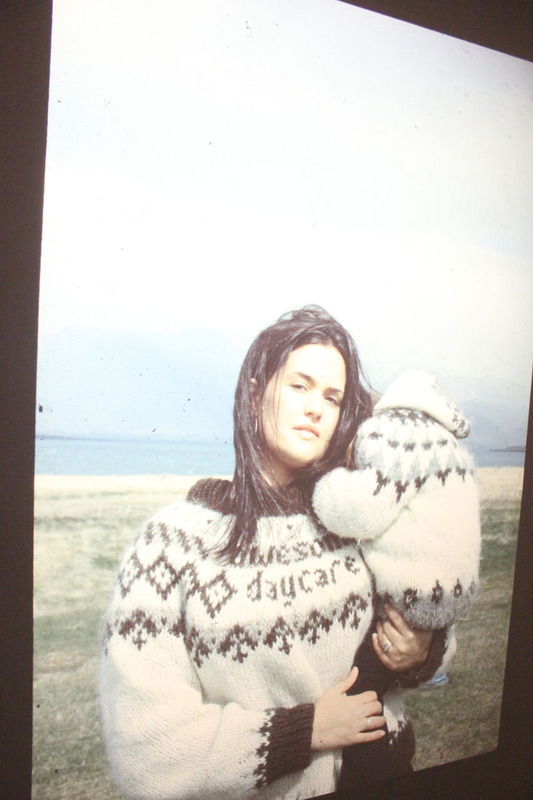 Browne advertised for knitwear models in Reykjavik newspapers and then surveyed respondents about the quality of life in Iceland. 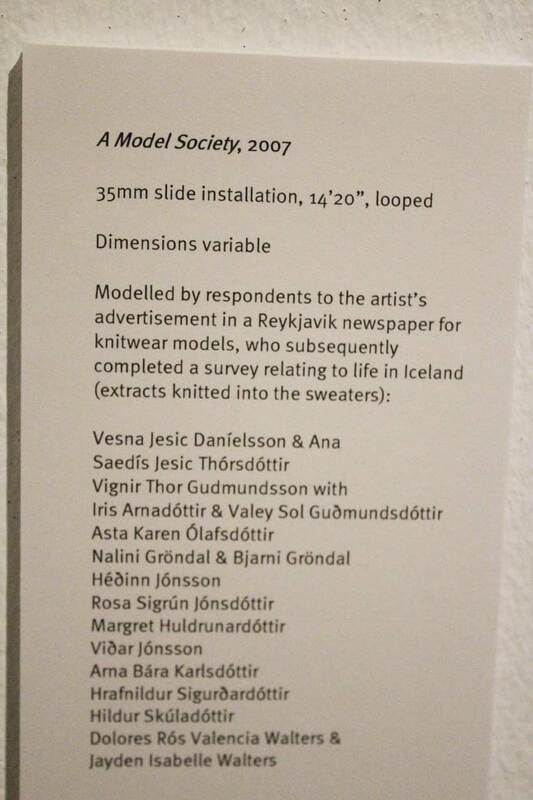 The models are presented within iconic Icelandic landscapes, wearing traditional lopi sweaters in which selected phrases from their comments, such as ‘no war’ and ‘rotten politics’, have been knitted. In works like these, the artist taps into the personal, emotional underpinnings of both national identity and macroeconomic forces. Browne’s exhibition runs parallel with the development of a new project, Scarcity Radio, in collaboration with the Ikon Youth Programme (IYP) and Slow Boat. 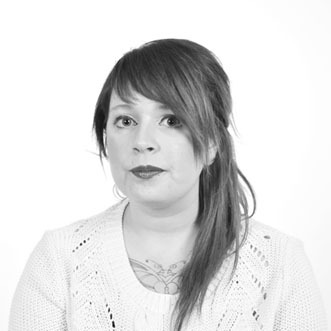 Browne is working closely with members of IYP on film-screenings, discussions and workshops that investigate our understanding of scarcity in the current economic context, focusing particularly on the role of radio communication during moments of social crisis. I really liked Sarahs work and it really gets your mind thinking about what she is trying to show, which is what I loved about the exhibition. This was my favorite piece at the exhibition. I first timed myself and found I was the person in the exhibition that viewed it the longest at the time of ten minutes. Other people were viewing these installation pieces for around the time of seven minutes. I think it was because each of the images were different and there was so many in the kodak projector. 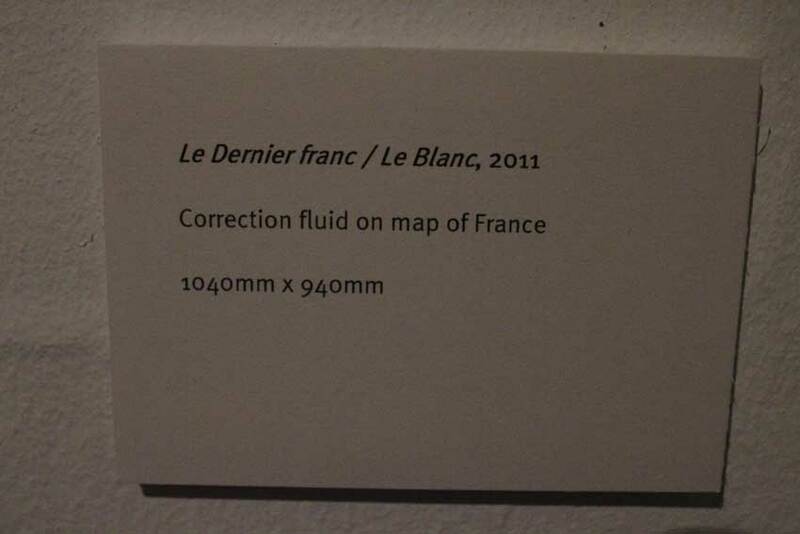 This piece of work called Le Dernier franc/Le Blanc was the most popular piece of work at the exhibition. People were l;ooking at this one piece for five minutes. 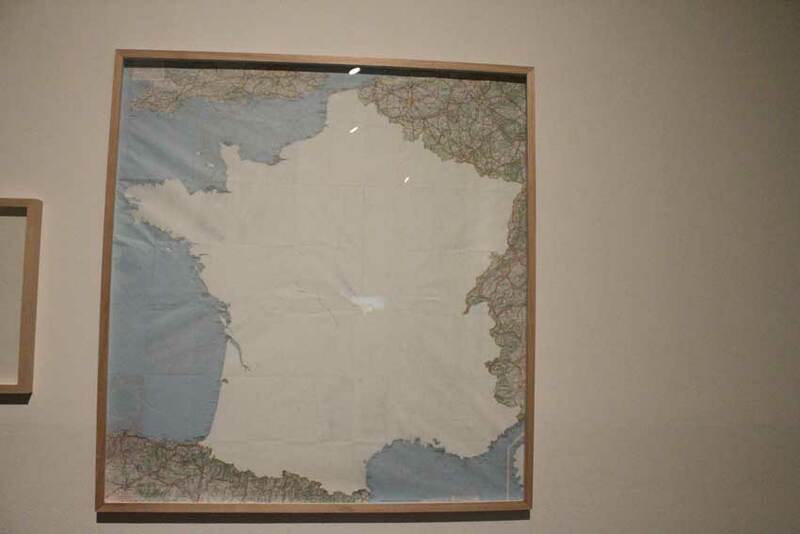 There were a crowd of people looking at this piece but to me, I did not find it as interesting as the rest. From the stop watch test I found that people were viewing the collection of installation piece for seven minutes. I think this is because everyone wanted to view each photograph and because they were all different to each other. I feel that this exhibition was the one exhibition that had helped me the most. It helped me the most because it was an installation piece, which is what I will be presenting at the exhibition. I found that from watching people see how long they were viewing the installation it gave me a rough idea of how long I shoudl make my clip. Therefore, by this research I have decided my clip will be as long as eight minutes long. After the visit to Print Space in London we were able to see the different ranges of paper and mounting they offer. I felt that Print Space were the company I would order my prints from as I really liked the C-Type matt paper and the 3mm foamex mounting. I did look at other print shops and they were a lot more expensive than Print Space. This is another plus of ordering from Print Space, they provided the print sort I was happy with and also they were efficient in cost. I would be able to recieve my prints in the next 6 days. 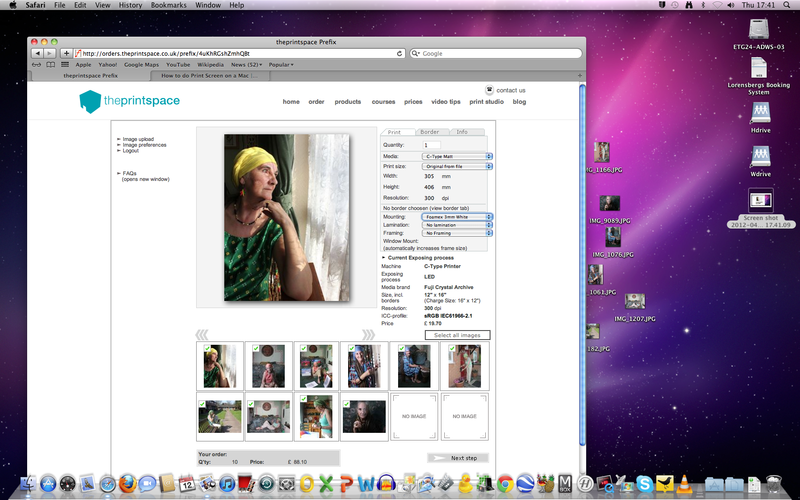 I found using their website to upload the photographs was really quick and also very easy. In the two screen prints below I have shown the image as it has uploaded and the paper selection that I have chosen. 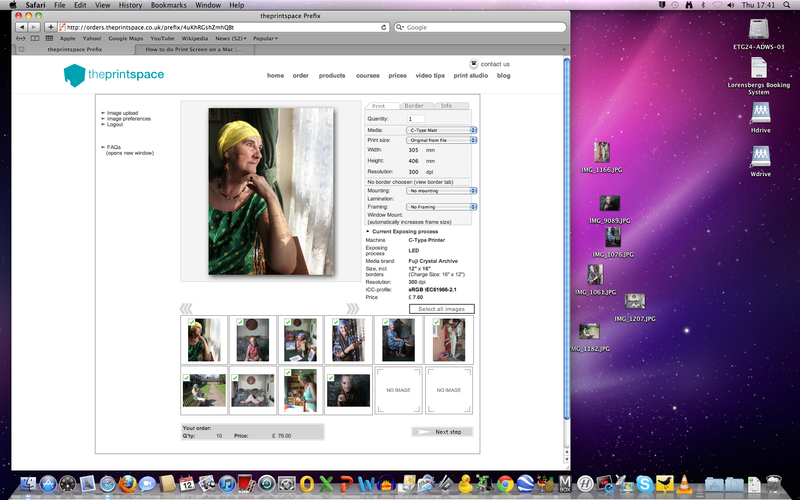 Also, in the second photograph it shows the selecting process of the mounting I wanted. Below I have shown a screen print of the final costing amount (this was the section before paying). 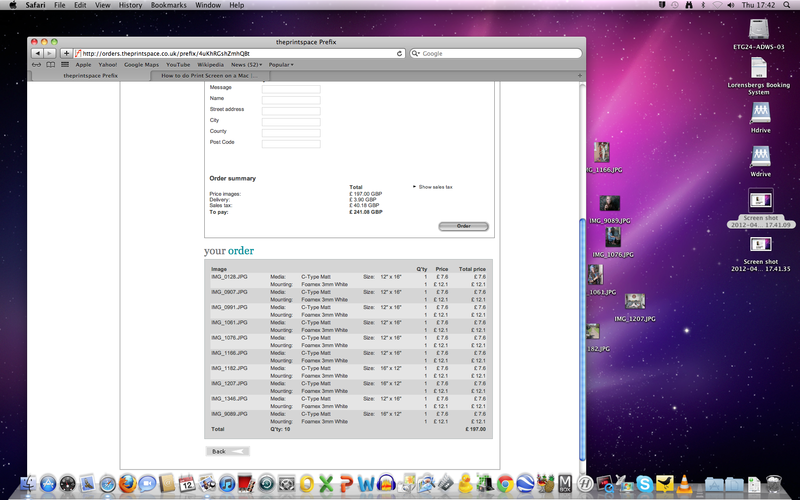 As you can see from the screen print the cost of all the prints, mounting, delivery plus VAT it came to £241.08. I was not sure on what size prints to go for as I was not sure how much space I was going to get, as this was still a decesion that had not been decided. I thought that before I went ahead and brought the mounted prints I would go and speak to Sadie. My final decision for print sizes were 12×16, but I was not sure if these were too big. I started thinking whether I should go for a smaller size of 11×14 instead and choose fewer prints to show in the exhibition. After speaking to Sadie she asked what size I think the images would look best at and I said 12×16. therefore, she said I should go for this size, because then I definitely know that because they are smaller I will have the space to display them in. I also asked whether I should show less than ten prints and she said that ten prints will be fine. This made me pleased that I could show the full amount I wnated to show and had planned to show. Sadie also suggested a corner installation and also about doing art work on the wall space that was similar to Jean’s living room that was shown in the photographs, so this is something that I am going to consider and I am thinking of doing. You are currently browsing the Dbridgewater's Blog blog archives for April, 2012.